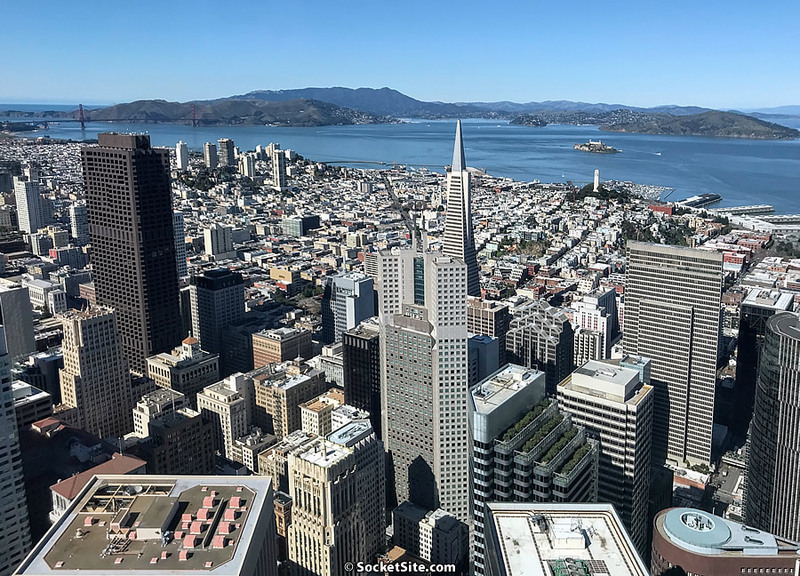 Having reversed course last year, the weighted average asking rent for an apartment in San Francisco and Oakland slipped a little over one (1) percent in the first quarter of 2019 but with a bit of seasonality in play. Including one-off rentals, as well as those in larger developments, the average asking rent for an apartment in San Francisco is now running around $4,150 a month, which is around 1 percent higher versus the same time last year but 6 percent below its peak in the fourth quarter of 2015 with the average asking rent for a one-bedroom in the city having ended the quarter at around $3,650 a month. At the same time, the weighted average asking rent for an apartment in Oakland ended the first quarter of 2019 at around $2,600 a month, which is 7 percent higher versus the same time last year but 7 percent below its peak in the second quarter of 2016, with the average asking rent for a one-bedroom running around $2,300 a month (which is 37 percent less expensive than in San Francisco, as it was at the same time last year). Our trends analysis is based on pricing data from over 3,400 past and current apartment listings in San Francisco and Oakland combined. So much new construction coming online in Oakland in 2019. Oakland’s average rent will go way up. At last! An honest RE bull! The data conclusively shows: new construction increases nearby property values and rents (it’s called, “gentrification”). What does one call it when rising crime rates, burned-down houses, and vandalism in a neighborhood cause a fall in nearby property values? “slumification” Someone anticipated this very conversation. Actually, what I think he’s saying is that all the new product at high lease rates will bring the average up. (I would disagree on the “way” up, but the change in mix will definitely affect that average. Or, rather than interpreting E. Gonsalves, which is always dangerous, let’s just say that I think that will happen, particularly if one were looking specifically at downtown Oakland and West Oakland, where much of the new housing is being developed.